This article will teach you the basics (and more) of the latest in sustainable fat-loss dieting. Remember, knowledge is power. Implement this knowledge of food, combine it with regular compound exercises and you WILL SEE and FEEL the benefits. 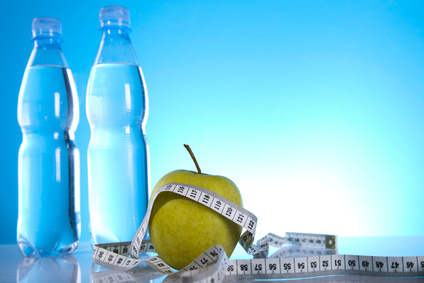 Firstly you need to reduce that daily calorific intake to allow your body to burn fat more readily. 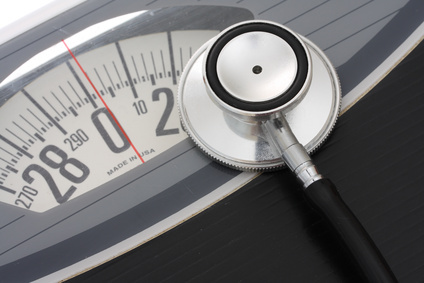 It is widely suggested that a 250-500kcal reduction is most appropriate as it is large enough to encourage fat loss whilst not being a drastic enough change to encourage the body to go into a catabolic state. Catabolism is a fundamental part of the starvation response by which more cortisol (the stress hormone) is released, encouraging muscle wastage and fat storage on the abdomen – two things we definitely want to avoid! The fundamental idea behind this plan is that it becomes a sustainable habit rather than a temporary diet. Thus, I would suggest we drop your daily intake only slighly down by just over 10% or 300kcal/day. The term “macro-nutrient” refers to the three classes of food we eat: protein, fat and carbohydrate. I want to make it very very clear that your health and fitness is much more influenced by your macro breakdown as opposed to your actual calorie intake. Whilst you require your BMR to calculate your macro intake, that is it’s only use. So what I would like you to do is to immediately banish any preconceptions you have regarding calorie counting. Count your macro’s, not the actual calorie intake. If you focus only on the calories you may still end up starving the body of the things it needs to recover even if you hit the required calorie intake. An easy way of counting your macros is to use a mobile app macro counter. I use Myfitnesspal, which uses a database of over 2m foods. However, I must warn you away from listening to what the app suggests to you. Use it purely to count your macro intake during the day. If it says you have had too much of one thing or another, please just ignore it. These apps are usually programmed for an average person and therefore do not consider your specific needs. Use this macronutrient calculator to calculate your daily intake. 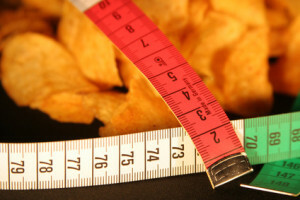 IMPORTANT: instead of using your full body-weight, subtract 10% and run the calculation. These are the values you must not surpass when you add all your foods up with Myfitnesspal. Please note, that your macro-nutrient ratios are FAT = 1, PROTEIN = 2, CARBS = 2. That means you need to eat twice as many proteins and carbs as fat. IF IT DOESN’T WALK, SWIM OR GROW, DON’T EAT IT! This simply means that you should avoid all processed foods (ready-meals, microwave or deep-frozen) and stick to foods, which are as close as possible to their original, natural form. 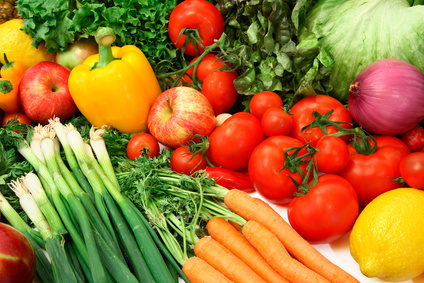 From now on you want to eat as many raw, unprocessed foods, also called “whole foods” as you can. Avoid foods that you have not prepared yourself and you can’t be sure what type and amount of ingredients have been used. Also, use natural spices for seasoning instead of pre-prepared sauces. First of all, I want to banish some preconceptions exacerbated by the media and advertising. FAT’S ARE NOT THE ENEMY! Whenever you pick up a food product that has “only 1% fat” or “25% less saturated fat” ask yourself the question “fatty foods taste good, so if they have taken all the fat out, what have they put in to make sure it still tastes good?”. I can pretty much assure you that in 98% of cases it is either more SUGAR or artificial sweeteners; both of which are far worse for you in both a fat loss and health sense. Furthermore, our bodies require fats to function properly. To understand the importance of fats, here are a few examples of their uses: formation of virtually all cell membranes, formation of myelin sheath within the nervous system, constitutes the majority of the brain and spinal chord, synthesis of growth hormones, enzyme regulation, internal organ protection via visceral adipose tissue, utilisation of fat-soluble vitamins (A, D, E & K) and fuel source during lower intensity work loads. With all the talk of good and bad fats, it must be remembered that really as long as a fat is naturally occurring, it is good for you! And this includes the demonised Saturated Fat. Predominantly found in meat and dairy products, saturated fat is required to boost the immune system, improve cell integrity, enhance liver function and act as an anti-toxin, anti-microbial and anti-viral agent. Mono-unsaturated and Poly-unsaturated Fats are most commonly found in oils (rapeseed, olive, peanut etc), avocados, nuts and seeds. 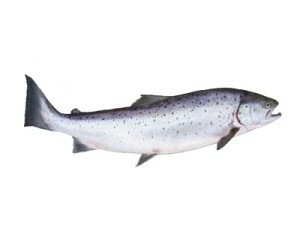 Essential Fatty Acids (EFA’s) are the famous Omega 3, 6 and 9. These are considered essential because our body cannot synthesise them and they are required to promote good health. EFA’s are most commonly found in oily fish, flax oil, walnuts, sunflower seeds/oil, safflower oil, pumpkin seeds and rapeseed oil. EFA’s also aid in the lowering of cholesterol and transporting it around the body reducing the likelihood of it being able to set in arteries and potentially block them, a common cause of Coronary Heart Disease. With all of this being said, whilst we need both saturated and unsaturated fat it is best to have a higher proportion of unsaturated fat to saturated. A reasonable ratio would be something like 4:1, unsaturated:saturated. Not only are fats required for good health, but they actually promote healthy fat loss when eaten in the right proportion. 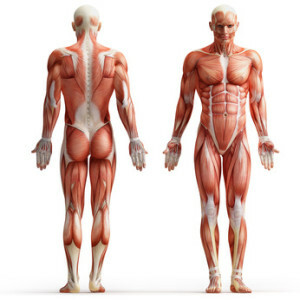 This is because the body requires a specific proportion of it’s calorific intake from fats to produce and release an optimal level of Growth Hormone (HGH). 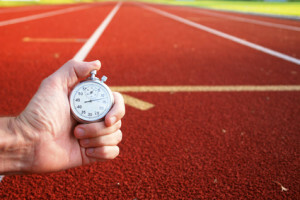 Whilst your first thought may possibly be “Yeah, but I don’t want to get bigger, I just want to lose fat!”, growth hormone release during exercise encourages fat cells to “unlock” and become a more readily available source of energy. 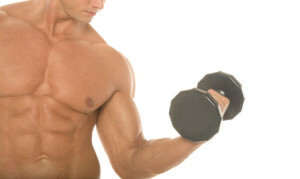 This is also why weight training is very effective for weight loss as it encourages a higher growth hormone release. To quell any worry further, remember that you are in a calorific deficit so your body won’t be able to build more muscle effectively so muscle mass should maintain whilst your body fat percentage decreases. The fats you need to avoid for both health and fat loss reasons are Trans Fats, which are found most commonly in deep-fried and fast food. So try to stay away from the old Mcdonalds, KFC and Burger King. Suggested fat sources: Avocado, rapeseed oil, almonds, oily fish, whole earth peanut butter. 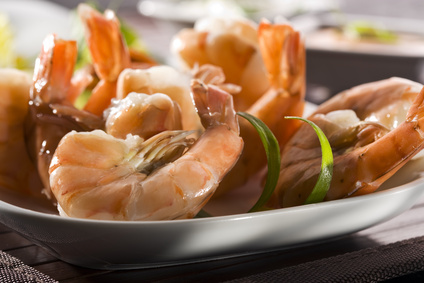 Protein is required to form the main framework of many components of the body such as collagen in bone and connective tissues, keratin in the skin and of course muscle tissue. It has a homeostatic nature by being involved in hormone production and is thus effective in helping our body stay at an optimal level of health. Proteins also act as a useable source of energy, especially during endurance events and periods of fasting. However, we want to avoid our body using proteins in this way. 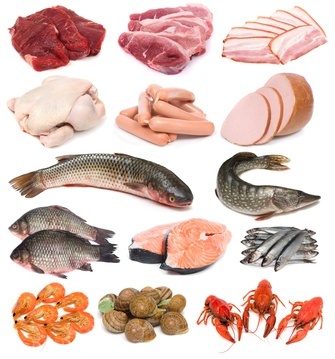 Proteins are made up of Amino Acids, of which there are 22 in total. 10 of these amino acids are referred to as Essential Amino Acids as, similar to fats, our body is unable to synthesise (manufacture) these itself. These 10 essential amino acids allow the body to synthesise the other 12 non-essential amino acids. 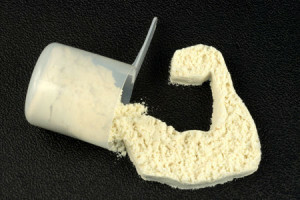 With regards to protein sources, there are two different types: complete and incomplete protein sources. Complete protein sources such as meat, dairy, soy, buckwheat and quinoa are names as such, because they contain all 10 essential amino acids in sufficient amounts allowing the liver to synthesise the remaining non-essential amino acids. Incomplete protein sources such as cereals and grains, nuts, vegetables and pulses have a lower biological value, because they do not have the complete spectrum of the essential amino acids. I understand that this may lead you to wonder how vegetarians can truly get the essential amino acids they require to maintain an optimal level of health. They achieve this my eating complimentary proteins in the same meals such as pulses together with rice, or vegetables with nuts and seeds. 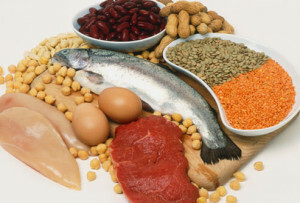 Suggested protein sources: eggs, chicken, steak, fish and nuts. Similar to fats, CARBS ARE NOT THE ENEMY! There are 3 different types of carbohydrate known as simple carbohydrates (sugars), complex carbohydrates (starch) and non-starch polysaccharides (fibre). Generally speaking, simple carbohydrates (sweet sugars) are the ones to avoid. This is because upon digestion, they take far less time to be processed and released into the blood stream and as this happens our blood sugar levels shoot up higher than they should be. In turn, the body releases Insulin to help restore the optimal blood sugar levels. To do this, it makes cells more permeable to sugar uptake. This includes muscle cells and FAT CELLS! Thus, if too much sugar hits the blood stream too rapidly, a great amount of it shall be stored in the fat cells for use later i.e. we get fatter. Because complex carbohydrates take far longer to be processed, they are released into the blood stream more slowly and so less insulin is released and blood sugar is less likely to be stored in fat cells. Fibre on the other hand, has a completely different role. It can not able to be digested at all and acts as a bulking substance helping all food pass through the digestive tract. I’d like you to be aware that I shall later make 2 exceptions to the suggestion of avoiding sugars altogether. However, it shall be made very clear as to why this is the case. I’d also like to comment on fruit as a source of carbohydrate. Whilst fruit is a great source of vitamins and other nutrients, it is high in fructose, a form of sugar. As a result of this fact, I would avoid eating fruit as it also leads to a sudden influx of insulin and increases the likelihood of fat storage. Not only should we avoid sugars whilst attempting to reduce body fat, but we should also always aim to avoid eating a large amount of sugar in one sitting as the increased frequency of insulin release can lead to Type 2 Diabetes, by which we become insensitive to insulin and food sources are unable to be used as fuel effectively. This is a common problem found in obesity. Another interesting fact will most probably smash one of your pre-conceptions with regards to what a healthy source of carbohydrate is. STAY AWAY FROM BROWN RICE!!! Whilst brown rice is a very good complex carb source, it also has a defence mechanism developed to attempt to stop animals eating it and to encourage it’s own procreation – it is an organism after all. This defence mechanism releases enzymes in the stomach that bind with nutrients we ingest and block them from passing further into the digestive tract. In short if you eat brown rice and broccoli together, the broccoli is likely to become entirely redundant due to the nutrients being blocked by the brown rice. Nobody wants that! Therefore, if you are rice lover, stick to basmati rice. 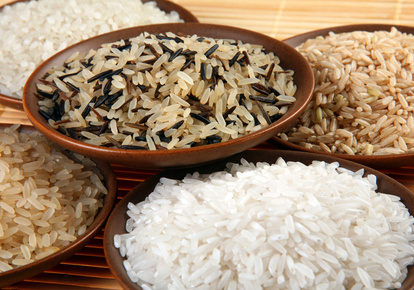 It’s just as complex a carb source and doesn’t have the negative effects brown rice does. Another specific carbohydrate source I suggest people avoid is all bread except for German rye or sunflower seed bread2. Most breads except for the German breads are higher in sugar than you would assume and even taste, and they are most commonly processed. My top suggested carbohydrate sources are oats, sweet potato, basmati rice, German bread, quinoa and one protein shake per day. 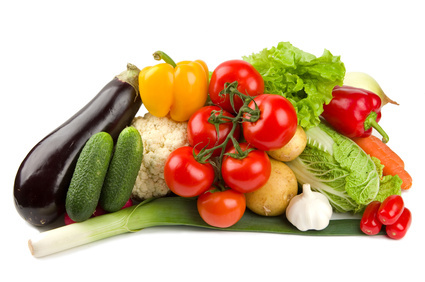 Whilst I haven’t mentioned vegetables specifically as to where they come into your macro breakdown, due to them being a vital source of vitamins and minerals and being particularly low in fat, protein and carbohydrate, I regard them as a free food. By this I mean that you should endeavour to eat as many vegetables as you reasonably can, but don’t add them into your macro calculations. For example, I eat plenty of green vegetables such as broccoli, green beans, spinach and leeks whilst eating other sources such as avocado (do count this as it is high in those delightful mono-unsaturated fats), chilli peppers, onions, tomatoes and carrots. For each of these I probably eat around 1-2 portions per source so as to get plenty of my required vitamins in. Obviously, do be reasonable though. Don’t eat trolley’s full of veg. I generally believe that when it comes to supplementation, I attempt to get as much as I possibly can from natural food sources and only rely on certain supplements. Whilst on a fat loss diet, I would most definitely suggest taking BCAA’s before and after training as these will help reduce the likelihood of the body turning catabolic whilst you are training. I would also definitely suggest Conjugated Linoleic Acid (CLA) as these fatty acids act to reduce the likelihood of an increase in body fat and also are a good source of Omega 6. As such, do add these to your macro calculations. L-glutamine is also a great supplement to take both before and after training as it is the primary amino acid responsible for protein synthesis in the muscle, meaning that it will help muscles recover more efficiently. It also acts to boost the immune system. Post-workout nutrition is the key to both muscle growth and safe fat loss! When I say safe, I refer to avoiding catabolism, and the starvation response. I strongly recommend the use of a Whey Protein Isolate mixed with Dextrose. Dextrose is a super-refined sugar that you can get from places like boots or you can order big sacks of it on bulkpowders.co.uk for a small price. After my comments about sugars earlier, alarm bells must be ringing. You are thinking right, but here is the rationale behind my change of tune. During an intense workout, the body first depletes blood sugar levels and similar to when the body notices blood sugar is too high, the body releases a hormone to attempt to return this back to normal. 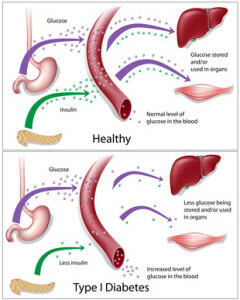 In this case, a hormone called glucagon is released from the pancreas to get the liver to release glycogen from the muscles into the blood to increase the blood sugar levels again. As the workout continues, the muscle glycogen obviously continues to deplete further and as such the body becomes aware of it’s need to refill these glycogen stores. So as the workout comes to an end, the bloodstream is flushed with insulin so as any food that is ingested can be taken straight to the muscles to start in their repair and recovery. At this time, the insulin released only makes muscle cells more permeable to increase sugar uptake and not fat cells. Therefore, by pairing whey protein and dextrose, two fast absorbing nutrients with a high Glycemic Index, the whey protein can act as a guide for the dextrose to the muscle to make sure it is utilised efficiently and muscle repair is carried out as soon as possible. Due to this, I would suggest attempting to get this whey/dextrose combination in your system within the first 15 minutes of finishing your session. If this is not possible then within the first hour is acceptable. The ideal ratio is a 4:1 ratio of dextrose:protein. So if I were to take a 20g serving of protein I would take 80g of dextrose. If you are not keen on taking or spending too much money on supplements I still suggest you implement this concept in your post-workout nutrition. I would attempt to take in the same ratios of carb:protein from alternative sources e.g. some milkshakes you can buy from supermarkets have the same 4:1 ration required, 3 eggs and plenty of fruit etc. Either way, I must emphasize you do really need to endeavour to be doing this as it is imperative to allow appropriate muscle recovery and avoid muscle catabolism. I believe that preparing a dextrose / protein share for immediate consumption after your workout is not only cheap, but convenient and effective. After all this talk of food, we need to address what you are drinking. First of all, make sure your water intake is high enough that your urine is clear at least twice a day, with the others being a faint yellow colour. To achieve this, on a training day I would suggest you drink at least 3 litres. On any other day I would still attempt to drink between 2 and 3 litres a day. Obviously this depends quite heavily on your body weight. The bigger you are, the more water you need. One thing to consider is that you should aim to sip continuously during the day. If you ever get to a point where you are actually thirsty then you are probably already dehydrated. Try to avoid this! With regards to any other liquids, I would avoid any hot drinks that require you to put any sugar or milk in. A perfect substitute for coffee or tea is green tea. It contains anti-oxidants, which keep those free-radicals in the body at bay minimising DMA damage and slowing the aging process down. 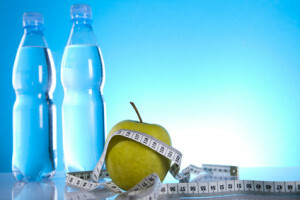 It also aids in boosting the metabolism, which is perfect when you are trying to lose fat. Alcohol is also something I would always attempt to avoid when trying to lose body fat as not only is it full of empty calories and dehydrates you, but it also stops your body from being able to utilise any foods put in the body whilst it is still processing the alcohol, so for anything up to a day or two later depending on amount consumed. The body therefore consumes all those calories but is unable to use them so is more likely to just store them in the fat cells. Another reason we would want to avoid alcohol. Whilst on a diet it is very common for people to start craving the less healthy options and for them to consider and sometimes give in to those cravings. A way of dealing with these cravings is to incorporate what is referred to as a cheat day one day a week upon which you are allowed to eat whatever and as much as your heart desires. Not only does this give you something to look forward to, but it also helps to spike your metabolism. This is because when on a diet, the body becomes naturally inclined to slow the metabolism to stop it from moving too far away from what it deems an optimal body composition. Therefore, by having a high calorie day we shock the body into thinking it has come out of the diet and so the metabolism can speed back up again. As such, when we start dieting again the next day it remains effective as the metabolism has gone up again. I would probably suggest doing this on a sunday as it is, for most, a day of rest. As such it is nice to take advantage of the chill time to eat as you want. If you would rather avoid having a cheat day, I still strongly encourage you have a refeed day. A refeed day refers to a day where you just increase your intake of all your healthy foods that you would usually eat. So an example you would just increase the amount of oats/sweet potato/basmati rice you have. Just make sure it’s a notable increase to spike that metabolism again! Breakfast: 50g of dry oats (mixed with water for porridge) seasoned with a shake of cinnamon, 25g of Whole Earth Peanut Butter (in porridge) and 4 whole eggs. Lunch: 100g of seasoned chicken breast/lean meat, 50g of avocado, salad, chilli peppers, 125g of sweet potato. Mid-afternoon: 100g of seasoned lean meat, green veg and 125g of sweet potato. Post-workout: 3 boiled egg whites (just throw the yolk away as it will slow absorption) and 50g of wine gums. Last meal: 100g of seasoned lean meat, 50g of avocado, salad/veg, chilli pepper. 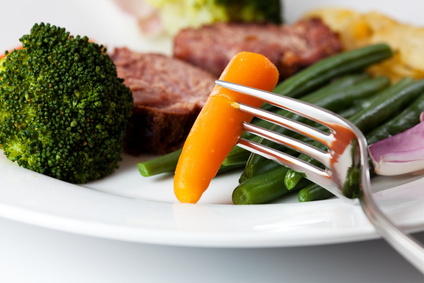 Whilst the meals may seem very similar and repetitive, please bare in mind the meat and veg can change between meals to keep things different and interesting. But obviously if you choose to eat more red meat that’s less lean then you will have to adjust your other meals to accommodate for the extra fat intake. In addition, if you feel you don’t have time to eat this many times in a day, please have a go first. If you still are unable, just reduce your number of meals and increase your intake in each meal. Now that you are armed with the knowledge, start shopping for the good food, buy lots of meat, vegetables and nuts. Make sure you have a water filter so you don’t need to carry all that water you will be drinking. For cooking I recommend using coconut oil, which is very healthy and you only need to use very little for each meal. If you combine this approach to your diet with a compound exercise regime and regular 7h sleep, your testosterone levels will rise and your erection will improve.